Need to establish residency for an ancestor but can’t find them in a census? Check out the tax records. Looking for more family connections with the same surname? Check out the tax records. Looking for clues of connections with different surnames? If a record is a copy of the original tax sheet, look for proximity among the names. Wanting to know some of your ancestors neighbors? Check out the tax records. My favorite tax record and one of my all-time favorite document finds! When I began backtracking the Roberts in 2012, this document would have meant little to me. Had you shown it to me, I could’ve told you I see a few Roberts listed there but would not have known who they were. Had you told me the document was from Williamson County, Tennessee, I would not have even known where that was located in the State. It’s a very different document to me today. As you read the following lists, please keep in mind, I have significant streams of ancestry flowing through Williamson County and feeding the Roberts and Ingram parts of my Roberts/Ingram/Byrd/Burns family tree: Roberts, Neely, Nichols, Giles, and Blackwell. 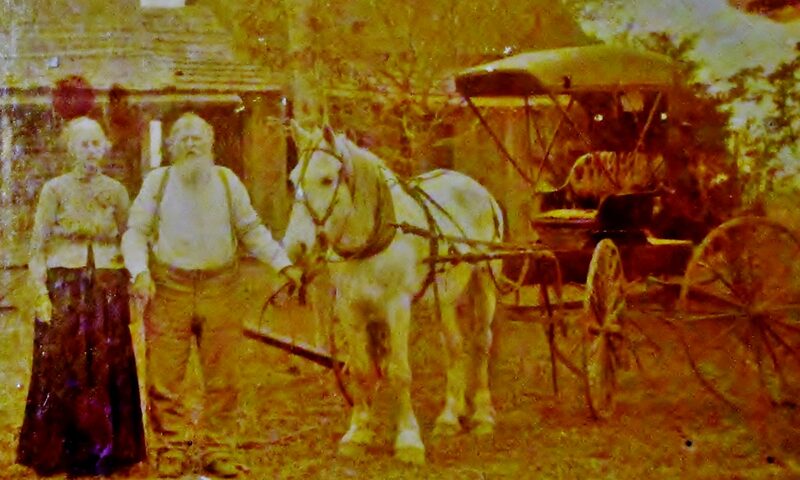 My roots run fairly deep in Williamson County, Tennessee. Who’s on the first list? Benjamin F. Roberts – 1st cousin 3 x removed. He married into the Halfacre family on this list. H. Roberts – 1st cousin 3 x removed. Paschal Giles – My 3rd great uncle. My 2nd great-grandfather John R. Roberts was once his guardian and named his son Thomas Paschal Roberts after his faher, who was also Paschal. 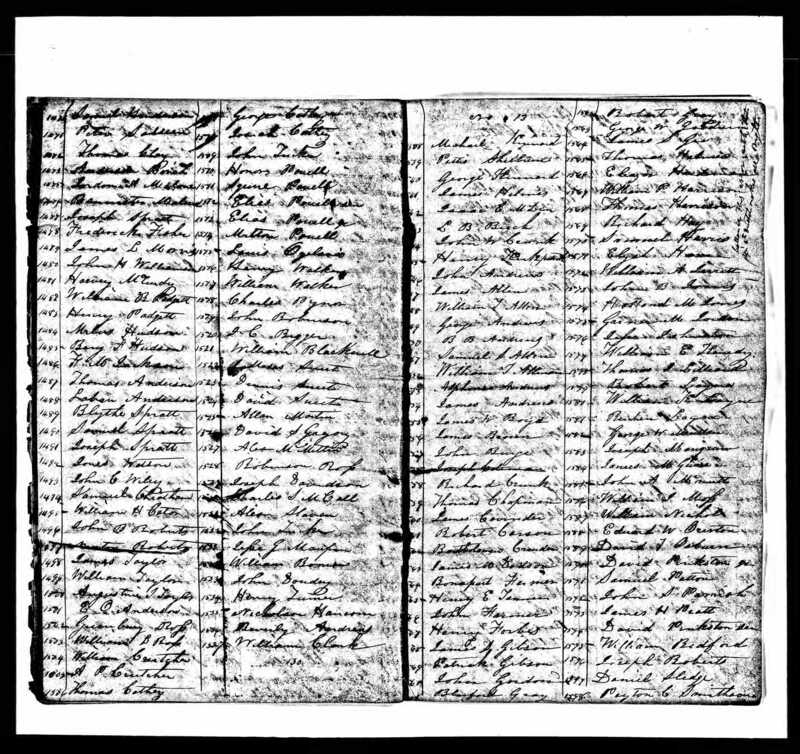 James Cavender – married my 4th great aunt Elizabeth “Betsy” Sammons. Archibald Lytle – the administrator of my 4th great-grandmother’s will in 1844. Sarah “Sally” Stembridge Sammons described him twice as her “friend”. Here’s the second page and list from the same Williamson County 1841 document. And once again, I did not know anyone on this list* in 2012. Michael Kinnard – Oversaw the sale of my 3rd great-grandfather John Roberts estate and secured the marriage bond for my 2nd great-grandfather John R. Roberts. George Kinnard – Oversaw with Michael the sale fo my 2nd great-granfather’s estate. They were all there on two pages of tax records from Williamson County. They’ve been there since 1841, together! I love it! You may sign up to “Follow” my blog and not miss a single post. It’s free. *Ancestry.com. 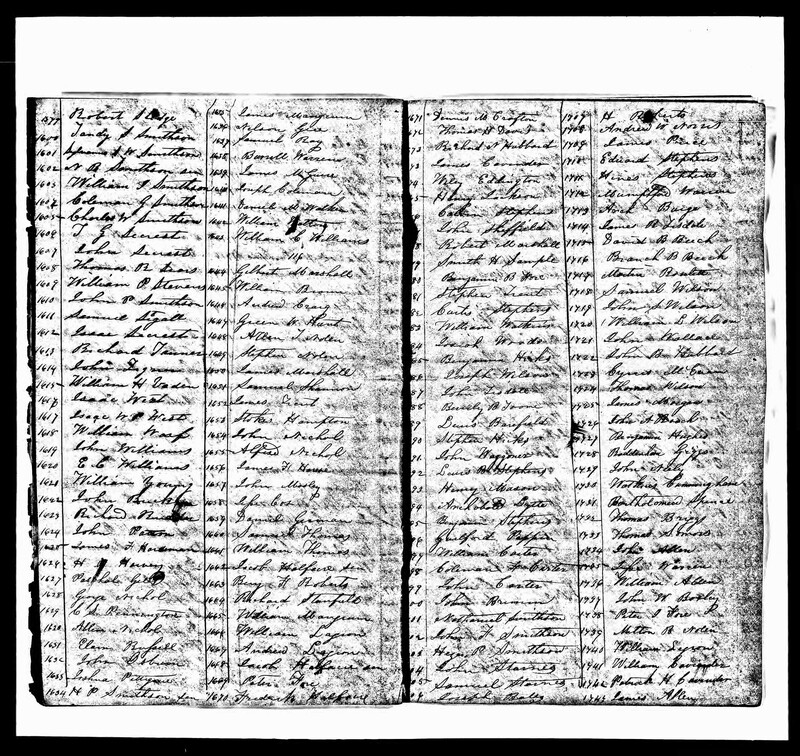 Tennessee, Early Tax List Records, 1783-1895 [database on-line]. Provo, UT, USA: Ancestry.com Operations, Inc., 2013. This collection was indexed by Ancestry World Archives Project contributors. Great find! I love tax digests too! They are so great at helping us track people between census years.